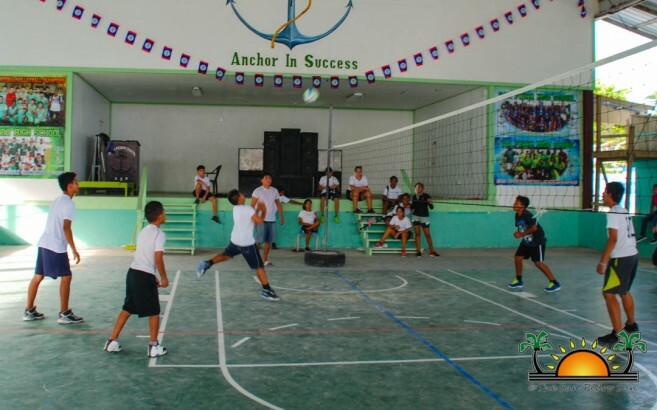 The San Pedro Volleyball Tournament playoffs continued this past weekend at the Angel Nuñez Auditorium in San Pedro Town. The first round of matches was played on Saturday, November 18th, starting at 1PM, with the semifinals of the Female Primary School Category. The first game saw San Pedro Roman Catholic School (SPRCS) girls taking on the Holy Cross girls. It was a tight match between both teams, but in the end, the SPRCS girls came out victorious after winning three out of the four sets (23-25, 25-18, 25-22, and 25-13). With this win, the SPRCS girls advance to the finals in their category. The next match was also a semi-final game but for the Male Primary School Category. 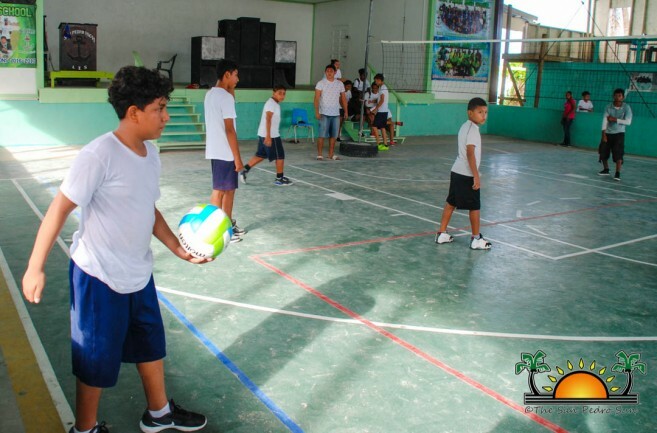 SPRCS boys won by default against Ambergris Caye Elementary School (ACES) boys, advancing to the finals. In the Senior Female Category, Wildest Girls took an easy win over San Pedro High School (SPHS) girls, by winning all three sets (25-9, 25-10 and 25-16). The last game of the day was the Senior Male Category with Barbos taking on Anonymous. It was surely a tight match but in the end, Barbos came out victorious winning two sets out three (26-24, 21-25 and 15-12). Barbos will advance to the semi-finals in the Senior Male Divisions. Games continued on the following day, Sunday, November 19th starting with a Female Primary School Category match, Isla Bonita won against New Horizon girls in a three out the five sets (14-25, 25-20, 25-20, 9-25 and 13-15) allowing them to advance to the finals. The last game of the weekend was in the Female Senior Category, with Fireball Girls winning by default against San Pedro Junior College girls for not showing up, with the default win, Fireball Girls advance to the finals. Games continue this weekend, on Saturday, November 25th and Sunday, November 26th, starting at 1PM. Islanders and volleyball enthusiasts are invited to come out and support their favorite team.